algebraic geometry. During his stay at CIRM, one of the areas he plans to develop in paricular is that of the Kobayashi hyperbolicity of these foliations, as well as their birational invariants and arithmetical properties. 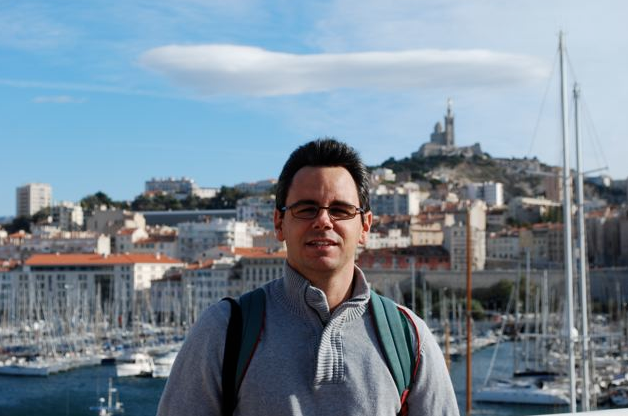 Erwan Rousseau is Professor at the Institut de Mathématiques de Marseille (I2M) and a Junior Member of the Institut Universitaire de France where his special area is complex analytical geometry. His research interests include complex algebraic and analytical geometry, and in particular questions related to the geometry of whole curves in algebraic varieties.